You may have heard that using live video can make a huge difference in your business BUT you may have a fear factor of going live on social media. Sound familiar? 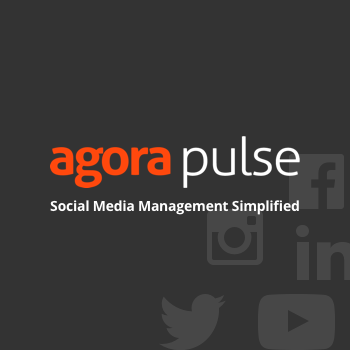 You can now live stream on social media platforms like Facebook, Instagram, Periscope, aka Twitter, and even YouTube! 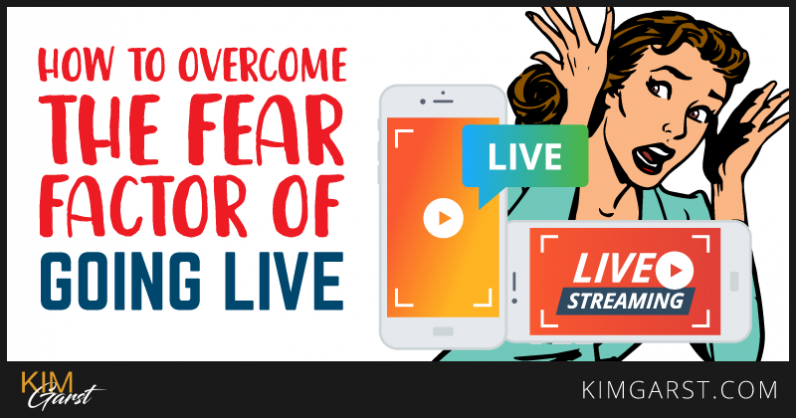 What if you know live streaming is the next step for you or your business, but you just can’t seem to get past your own fears? Well, you know the old saying: nothing worthwhile is ever easy!! I’m here to tell ya…there is GREAT things on the other side of that fear factor of going live! You gotta push through! 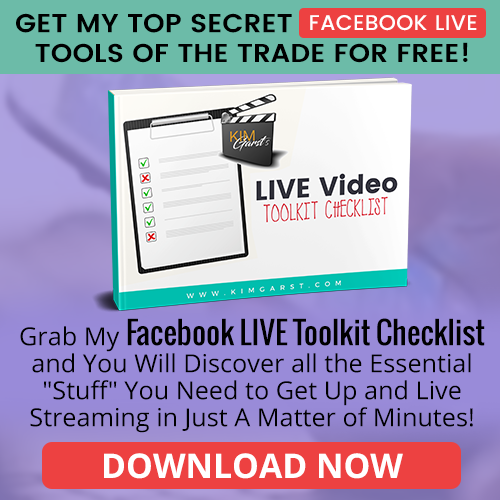 This post will help calm your nerves so you can prepare for and broadcast LIVE like a pro! Probably the #1 way to both quell your fears and produce the best possible LIVE experience is to think through what you want to say, and then create a talking points list. I DON’T recommend writing out what you are going to say, word for word! This often ends up making you seem stilted and rehearsed…which is the exact opposite of what you should be shooting for. You simply want to make a small list of your main “things” to keep yourself on topic and help you to not forget things. I would even include references to any actions you want to take during your broadcast – like asking for audience feedback, saying hi to your viewers, panning in on an object, etc. When you know you’ve covered all your most important points, you’ll find you start to relax and start to enjoy yourself. If you find yourself getting hung up on yourself – on what you look like, how you sound, what you’re going to say – you lose your most important focus: your audience. You have to remember, this isn’t about YOU…it’s all about serving your tribe! If you find yourself getting hung up on yourself – on what you look like, how you sound, what you’re going to say – you lose your most important focus: your audience. Before you go LIVE, take a minute to think about who you’re trying to help and what they need. What are their biggest struggles right now? What issues do they need to overcome? What do they need to hear from you? Focusing on others can really help to get you in the right mindset, thereby calming your nerves and making for a MUCH better LIVE experience! Running through your LIVE beforehand can be invaluable for calming your fear factor of going LIVE and making sure you’re ACTUALLY prepared for what’s ahead. Pretend broadcast in front of your mirror: Basic, I know. But if you just need a quick run-through, this can be a good option. Record yourself: This is a good option if you have fears about how you look or sound, or just want to get a feel for being in front of the camera. Do a private broadcast: If you’re worried about the technical aspects of going live, you may want to do an actual broadcast…but one that only YOU (or a close friend or two) can see. Here’s how to do this on Facebook: Go to your status update box and change the privacy setting to “Only Me”. Then click on “Live Video”. You can now run through your Live as usual…without anyone actually seeing it. Here’s how to do this on Periscope: It’s a similar process on Periscope. When you go to the Broadcast tab, click on “Public”. You’ll now be able to create a group of followers you want to broadcast to. Choose one or two trusted friends to invite to your broadcast. On Instagram, you can click on the circle up in the left hand corner of the LIVE screen to choose who sees your LIVE video. This is maybe a “no brainer” tip…but more than a few people have neglected this with terrible results! Before you go LIVE, double check that your phone or computer is fully charged and that your WIFI is working as it should. You have enough to worry about without being concerned that your battery will die or you’ll lose your signal partway through your LIVE broadcast! It’s common to assume that everyone is as critical of your appearance as you are. In reality, most people will never even notice that you’re having a bad hair day or that your shirt is slightly wrinkled. While looking and feeling your best can boost your on-air confidence, keep in mind that your audience is far more interested in the content of your broadcast than in what you look or sound like! Imagine speaking to a room packed with 100 people…how would you feel? 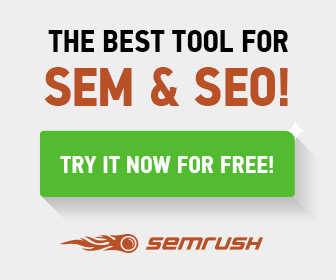 Now imagine having a one-on-one conversation with one of your customers or clients. Before your live, visualize who your ideal customer is. As above, think about his or her biggest pain point and desires. When you go live, imagine you’re speaking directly to this one person. Not only will this help reduce your fear, it will result in a much more personal, relatable LIVE experience! When you go live, imagine you’re speaking directly to this one person. Not only will this help reduce your fear, it will result in a much more personal, relatable Live! You are Going to Mess Up…Embrace It! Know that (before you even begin your first Live) you will mess up…probably multiple times. This is part of what makes live streaming so engaging…you never know WHAT’S going to happen! First, most people will never even know when you mess up. They’re not scrutinizing your LIVE video looking for mistakes, and are much more concerned about what they can learn from you than whether you look or sound perfect. Second, remember that your viewers WANT to see a real human on the other side of that screen…not someone who’s so rehearsed and polished that all spontaneity is lost. Finally, remember that live streaming WILL get easier the more you do it. You’ll become more comfortable and you’ll start to develop your normal “bag of tricks” for each Live without having to think about it. Just don’t give up when you mess up for the first, second or even third time! To be as comfortable and effective as possible when on air, familiarize yourself with pubic speaking guru Dale Carnegie’s 10 rules of public speaking (adapted slightly for the internet!). Many of these are covered in the points above but there are a few new gems! The only way to get better is to keep practicing! If you haven’t spent a lot of time in front of a camera, doing your first Live can be a nail-biter. Just remember that as you do it more and more, your nerves will settle….and you may soon have trouble remembering why you were so nervous in the first place! Hopefully, these tips on how to overcome the fear factor of going live have been helpful! Still unsure? Share below…I’m sure you’re not the only one! Enjoyed this…..a little late! did my first live broadcast yesterday. It was a quick interview/introduction/presentation of a donation we made through Project Feed It Forward. It was fun and exciting and I look forward to implementing your suggestions. Thanks for your contribution Kim. I took a leap of faith and did an impromptu Periscope – Wednesday Why and touched on three points about using social media for business. The ice is broken and the first time jitters have been faced. Looking forward to a more planned effort next week. Thanks for the pointers Kim I’ll be looking for more of your insights along the way. Look what Kim Hawkins just posted..What’s Distracting You From What You Need to Be Doing? Great list of tips Kim. However, do you think people scared of public speaking could find the courage of using apps like Meerkat or Periscope? Great tips King thank you for the cool information and that addition of Dale’s 10 rules of public speaking were really helpful, I’ve done public speaking before and it’s true that the only way to get better at public speaking is through practice. Also, a tip for people that may be new to public speaking (or speaking in general really) and Kim please correct me if I’m wrong, when you talk about something that you really like or even love, you can talk for hours and you’ll feel like it’s been 10 mins!. Again, Thank you Kim for the cool content as always and have an awesome day! What sort of demographic uses periscope? 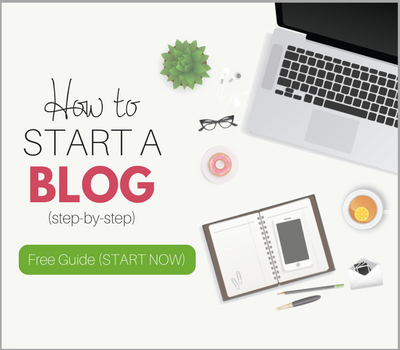 Look what Hammo just posted..Are you being mislead with Free Blog Hosting? 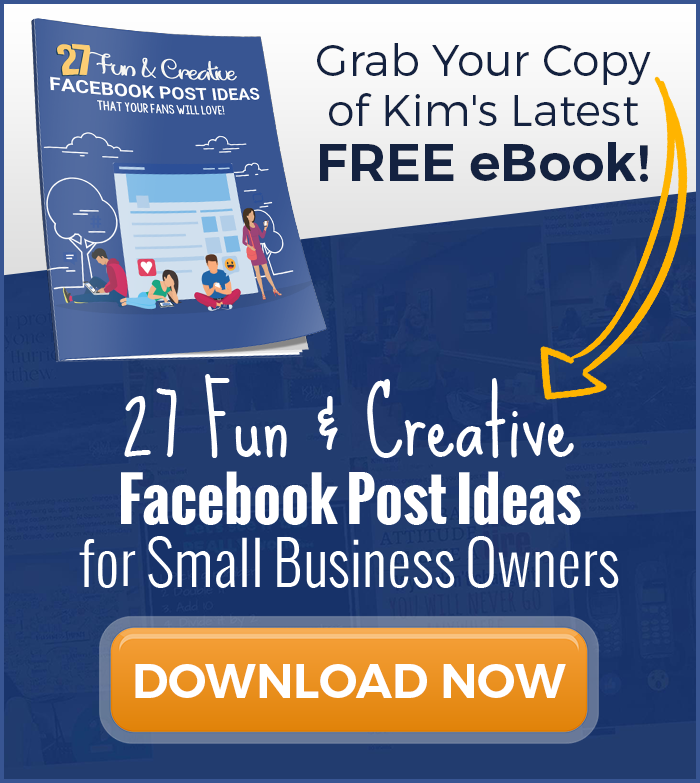 Loved your article and great advice Kim! I’m going to follow your advice to the letter because I’ve been anxious to start my video series but I’ve been putting it off all due to my fear. So many thanks! Kim, are there any special settings we should put on our phone before we go LIVE? So, we don’t get interrupted with text messages for phone calls? Great question, Rikki! Yes, you should put your phone on airplane mode so that you don’t get interrupted by phone calls. Good luck with your next LIVE! Websites now are not just for entertainment purposes. It also serves as an extension for your business and a way to communicate with your potential market. I love these tips! I’m Type A and introverted so LIVE video seems so scary! But, I’m am going to push myself outside my comfort zone and try one this year. Wish me luck ? well going live is the most important part, and you gave very cool suggestions so thanks for giving tips. Nice article on Overcome the Fear. Hi, This is a useful article. It provides me with great information. Thanks.